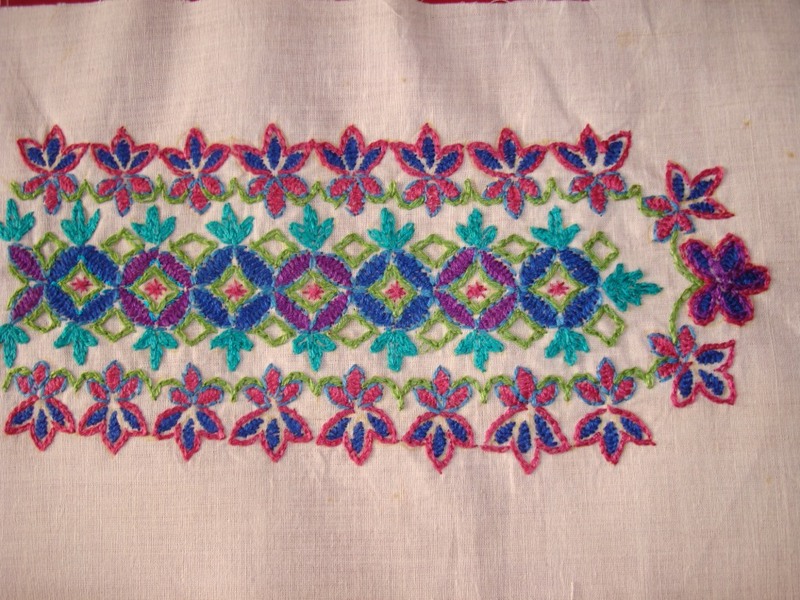 Chain stitches were worked with bluish green thread. 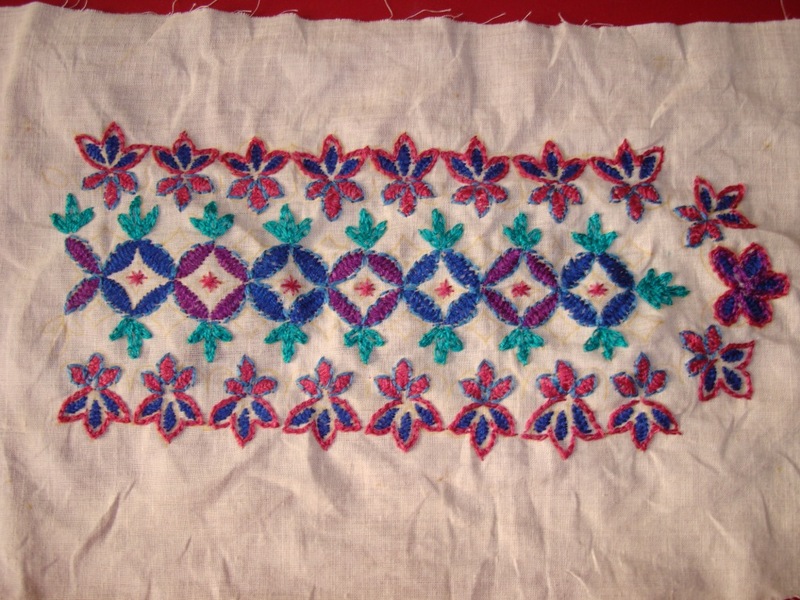 The closer look of the embroidery. 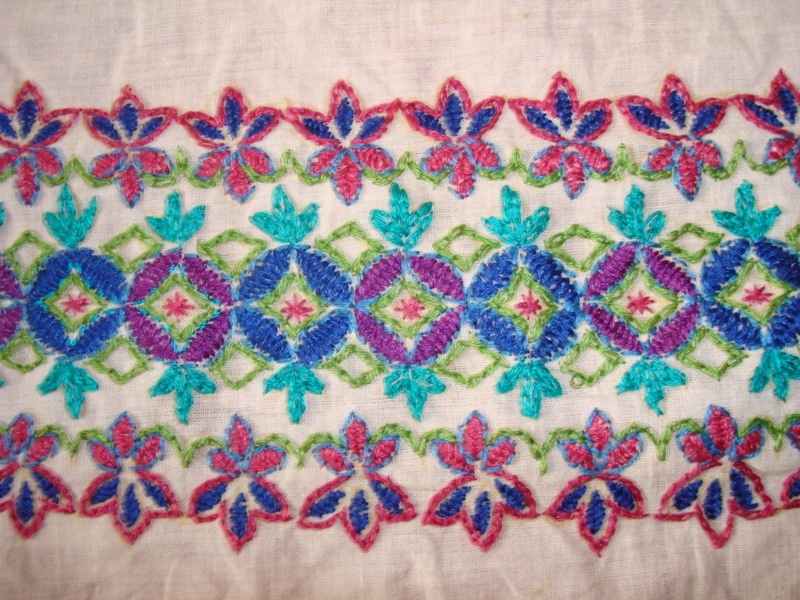 An acquaintance of mine wanted an embroidered yoke in cream. 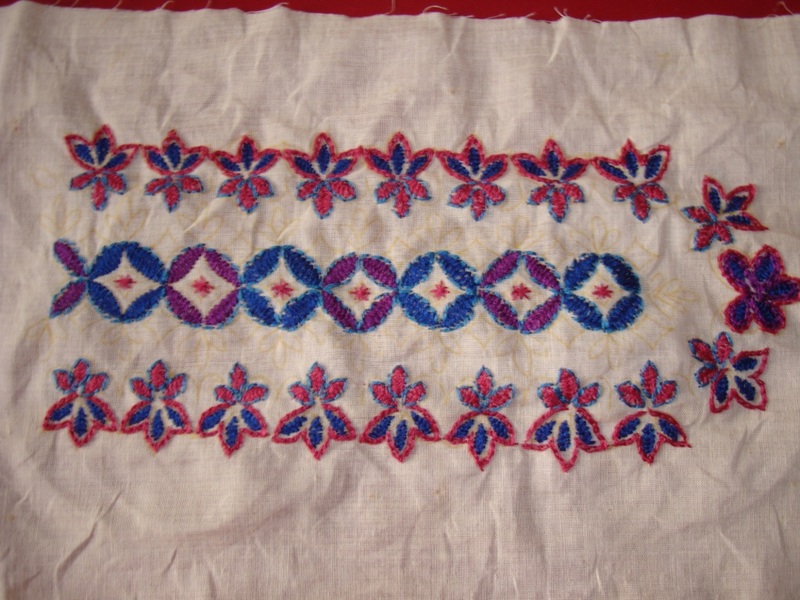 She said that her cream based kalamkari fabric needed a multi coloured embroidered yoke. 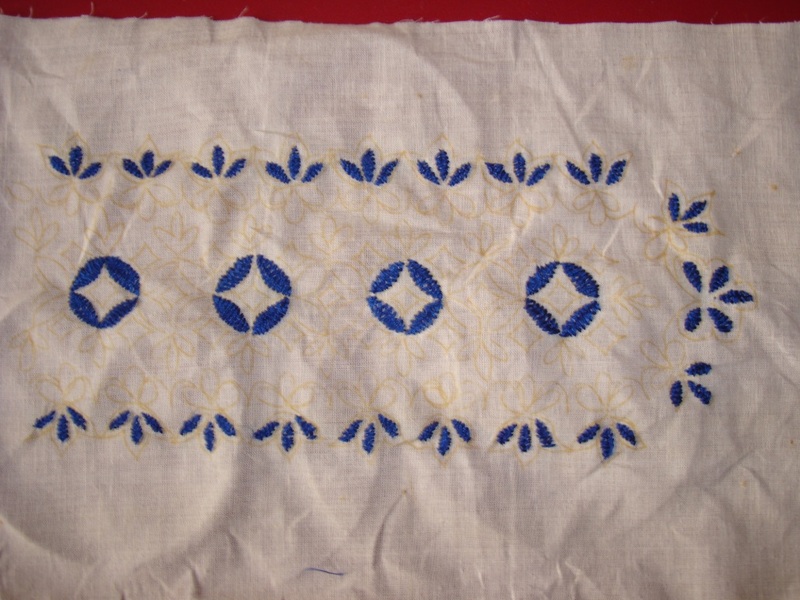 Since I had not seen the fabric, the colours were chosen on the basis of matching it with cream/gray/black.